Aphrodite battles the Gigante Mimon from a painting of the Gigantomachia (War of the Giants). Aphrodite and the giant are both armed with spear and shield. 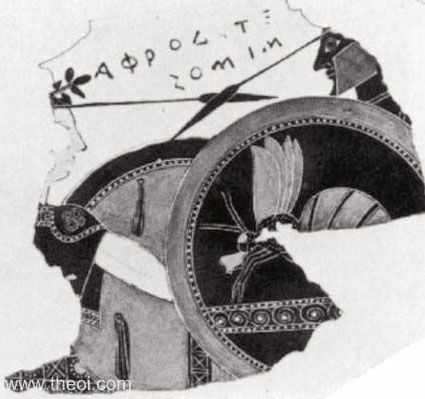 The shield of the giant is emblazoned with the symbol of a bee or a wasp.